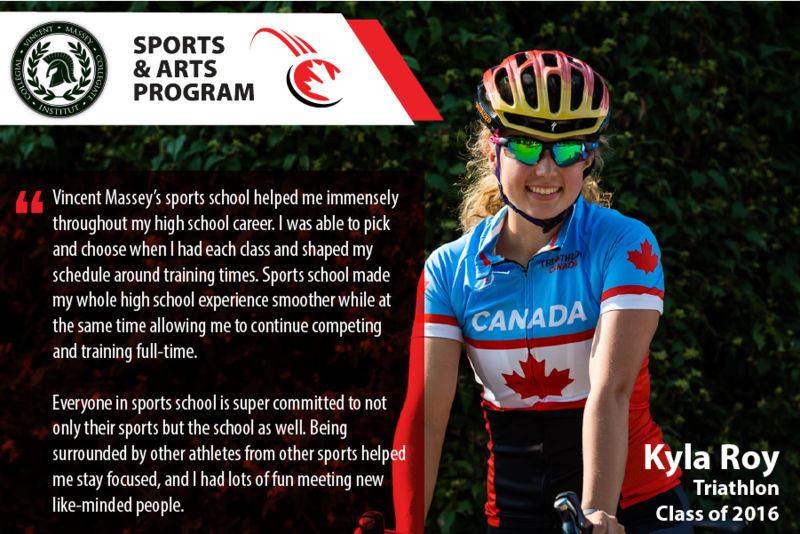 The Sports & Arts (S&A) Program at the Canadian Sport Centre Manitoba was created in 2001 in partnership with the Pembina Trails School Division to provide flexibility and support for high performance athletes and artists who wish to pursue their sport and art goals, as well as maintain a high standard in their academics. S&A is offered through Vincent Massey Collegiate and provides flexible timetables, individualized programs, performance contracts, teacher advisor programs, French immersion, an advanced placement program and honours courses. Please note that entry into grade 9 is limited to French Immersion. Our school division will not be allowing grade 9’s out of division. Teachers. 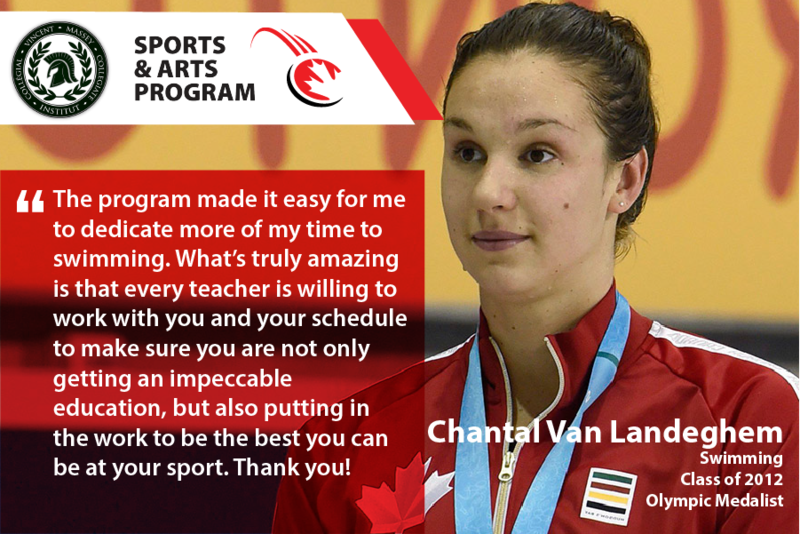 The Sports & Arts Program is privileged to offer top rated teachers. These knowledgeable and experienced professionals share a passion for the program and are dedicated to supporting you in your sport and academic goals. Teacher Advisor. Essential to the Sport & Arts Program is the teacher advisor. The teacher advisor acts as the student’s advocate, makes necessary arrangements regarding homework and assignments when travelling, and acts as the liaison between teachers and the parents and student. Academic Support. Maintaining your studies while away training or competing is essential. Vincent Massey Collegiate is equipped with an inventory of laptop computers so that academic support will always be available to you. If necessary, you can also use our Tutorial Support Program. 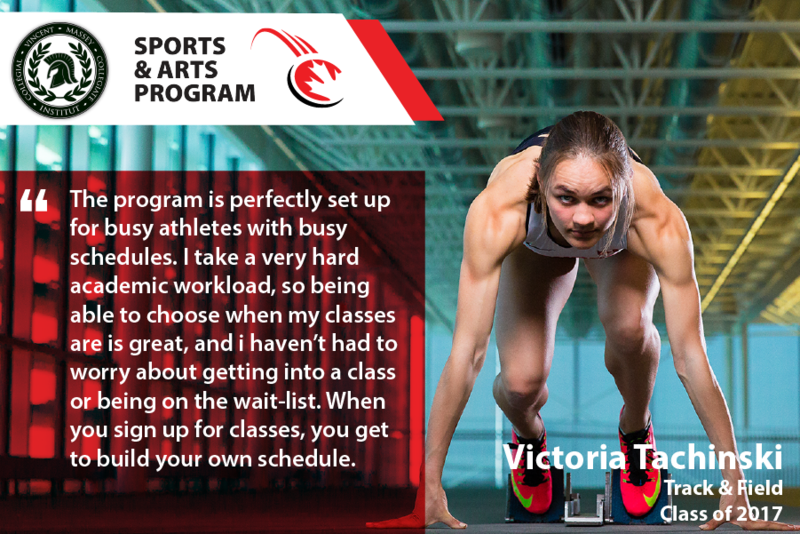 Once accepted into the Sports & Arts Program, you will have an individually constructed timetable that keeps your training schedule in mind. Most student-athletes attend classes either in the morning or afternoon. Negotiate with your coach, teacher advisor and parents to plan the best schedule for you. 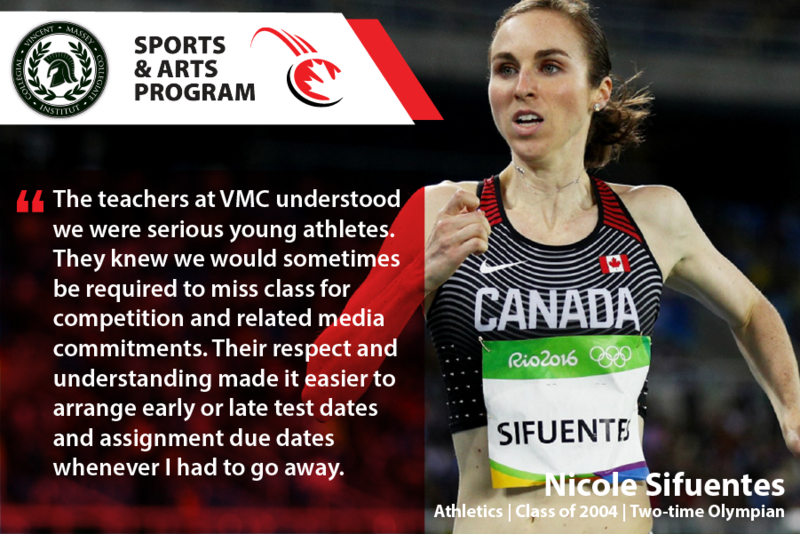 If you maintain a good standing in your courses and within your sport, you will enjoy the many benefits of the program during your time at Vincent Massey Collegiate. A fitness and weight room facility available within the school. A credit course “Advanced Sport: Principles and Applications” offered specifically to elite athletes. An annual parent workshop to provide information on various topics with guest speakers who are experts in their fields. Informal gatherings in order for students to socialize and support each other.